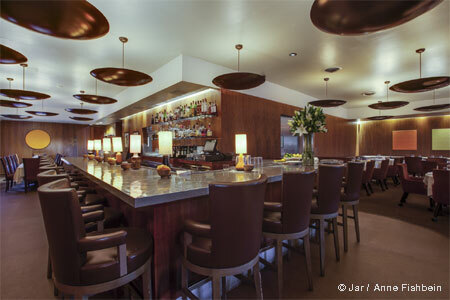 213 Hospitality's brewpub in a gorgeous Art Deco space at Union Station in downtown Los Angeles. Open Sun.-Thurs. noon-11 p.m., Fri.-Sat. 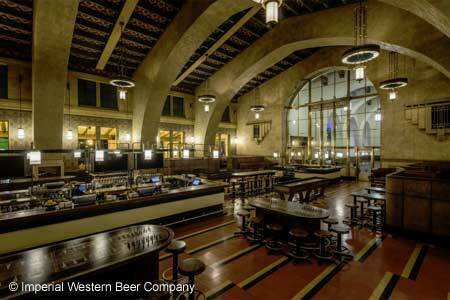 noon-2 a.m.
: 213 Hospitality restored the former Fred Harvey Restaurant space at at Union Station and created Imperial Western Beer Company. The Hungry Cat's chef's David Lentz devised a menu with oysters, house smoked pork ribs, shrimp and grits and steak frites. Beer offerings include the "Travel Bug" Gose and "Streamliner" Session IPA.